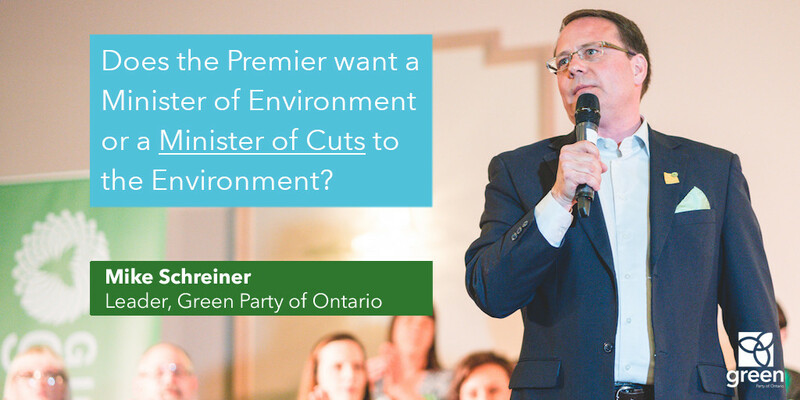 Today at Queen's Park, Mike Schreiner posed the first ever question from a Green MPP, asking the government for its economic analysis of the costs of cancelling climate plans. The Ontario government is shutting the door to the clean economy, but won’t tell people how much this reckless decision will cost. 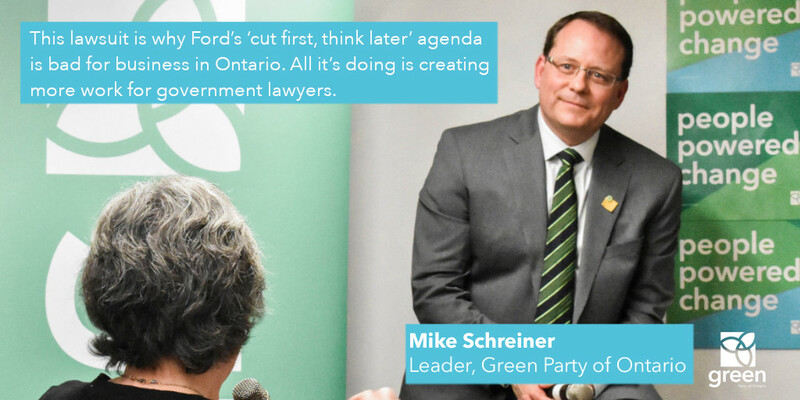 Today in Question Period, Mike Schreiner, the MPP for Guelph and leader of the Green Party of Ontario, asked if any analysis had been done on the economic impacts of cancelling climate change plans, but the Premier deferred to the Minister of the Environment, who responded with campaign rhetoric. “This is the same party that in opposition was demanding an economic analysis for all government decisions. 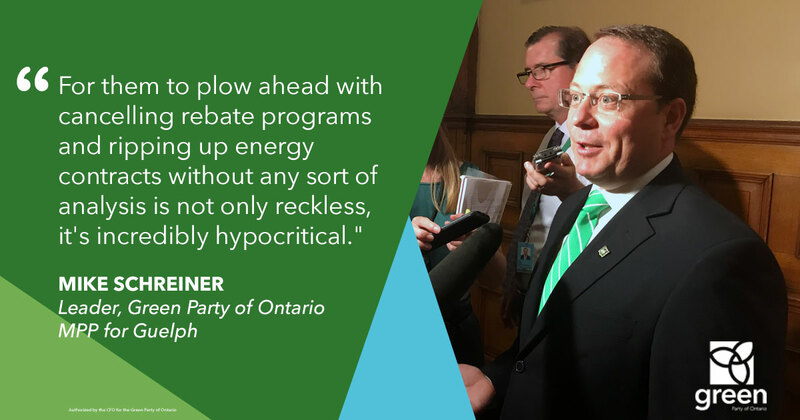 For them to plow ahead with cancelling rebate programs and ripping up energy contracts without any sort of analysis is not only reckless, it’s incredibly hypocritical,” said Schreiner. The $7 trillion global clean economy is generating jobs and prosperity around the world. Capturing even 1% would make it the largest contributor to Ontario’s economy. Cancelling Ontario’s plan to price pollution without an alternative plan tells cleantech companies and investors that we are closed for business. It also takes money out of the pockets of families and businesses who want to save money by lowering their energy bills. “I have had solar panel and window manufacturers call me to say they are losing business. Families who were going to renovate their homes or purchase an electric vehicle are asking me what they can do now. Schools that were planning to make energy saving repairs are being left in the dark.” said Schreiner. 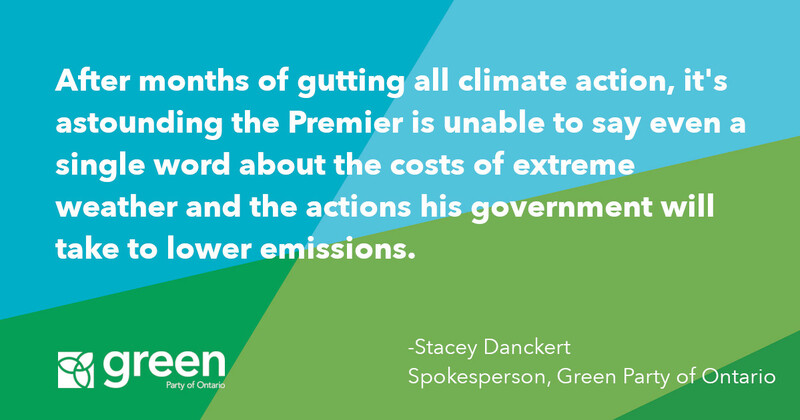 “It’s clear the Premier has no plan to tackle climate change. And his government’s war on the modern world sends the wrong signal to job creators who are going to be the engine of our future prosperity,” added Schreiner.